For nine years, Sid J. Gautreaux III has served East Baton Rouge Parish as the embodiment of law and order. He has – with devotion, humility and resolve – worked to hedge the relentless flow of crime in the metropolitan area. Under his direction, the East Baton Rouge Sheriff’s Office opened its first ever Public Affairs Division, which allows citizens greater access to law enforcement resources on an individual level. His office has also worked toward diversifying its staff in order to better represent the parish populace. Perhaps most importantly, Gautreaux has begun offering optional faith-based initiatives for the members of his staff and prison inmates who are interested in growing their relationship with the Lord. Gautreaux’s journey from the boisterous son of a Baton Rouge contractor to the parish’s highest-ranking law enforcement official is remarkable. Through principle, guidance and determination, he has learned how to be a successful leader. 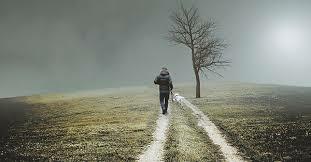 His life is a keen example of how rewarding personal surrender and absolute faithfulness can be. “When I was growing up, everybody was your mentor, and everybody was a good mentor,” he said. Gautreaux’s childhood, although stable and loving, was by no means charmed. He was born in Baton Rouge and raised, until fourth grade, on the “poor side” of Park Boulevard. There, in a little house on Olive Street, Gautreaux began to learn about the power of God’s faithfulness. While still very small, he was stricken with polio. His condition became so severe that his father – serving in the Korean War at the time – was called home. The worst was expected, but young Gautreaux survived, and through his recovery, he discovered the potency of prayer. His family relocated to Baker when Gautreaux was in fourth grade. Eventually, he graduated from Baker High School and spent a year studying at Northwestern State University in Natchitoches, La. He described his childhood as being framed like a triangle. “The base of the triangle was my home, one side was my church, and the other was school. No matter where I was in that triangle, I got the same message: do no evil, do the right thing no matter the cost, and I knew I had consequences no matter where I was. But, I also knew I was getting the support I needed,” Gautreaux said. 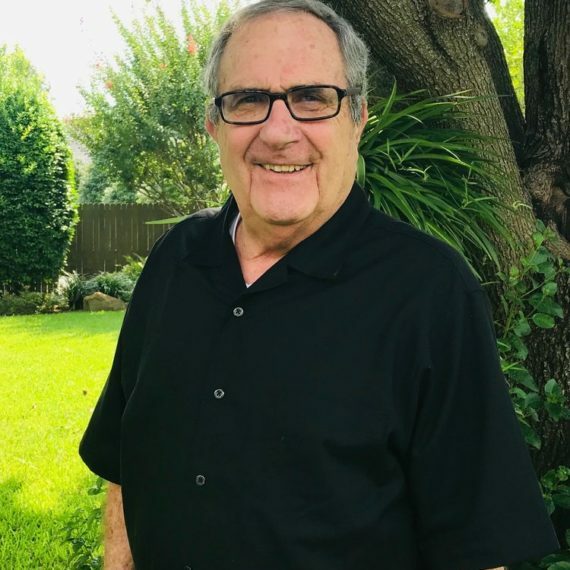 After school, he spent some time working for his father’s construction business until joining the EBRSO in 1976. He spent his first year on the force serving at the parish jail. Then, he took to the roads as a patrolman, where he gladly remained for three years. “If I had gone in the other direction, I wouldn’t be where I am, today,” he said. 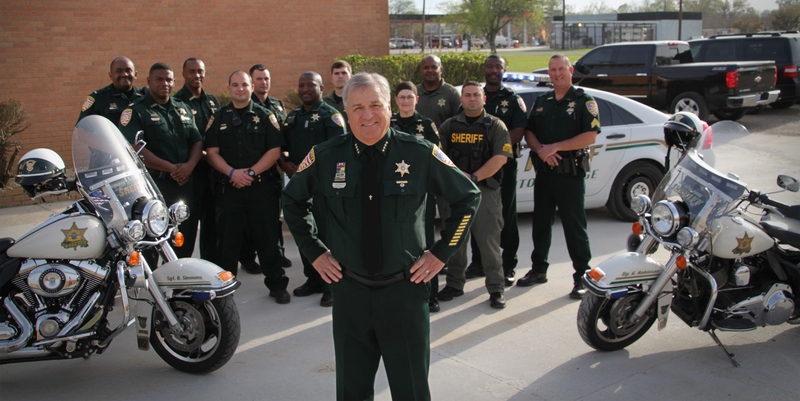 In 1980, Gautreaux left the sheriff’s office. He decided to run for Chief of the Baker Police Department. “That was an adventure in and of itself. My wife and I were both 29, we had four little children, and I’d never run for public office before,” he added. Gautreaux’s first attempt at politics was a leap into the unknown — one that might have had any number of life-altering effects. “We [his wife and he] prayed about it. God said go for it, and we did!” Gautreaux said. 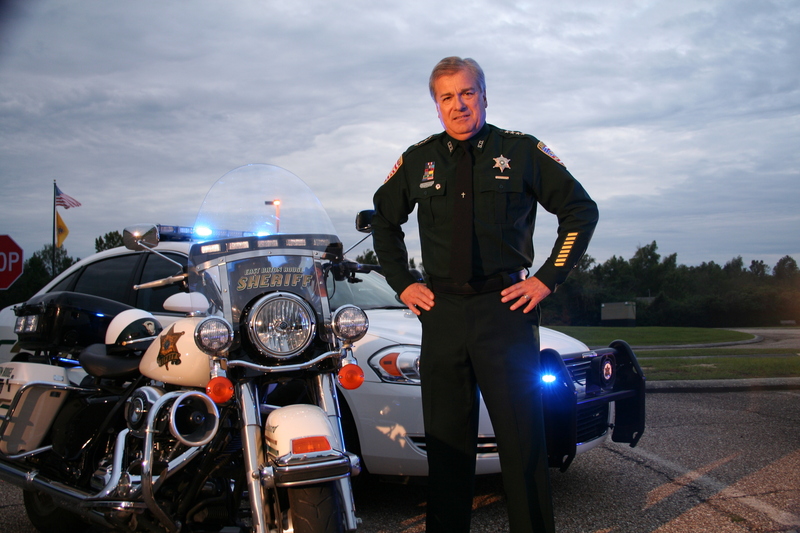 He won and served the City of Baker for 27 years until in 2007, he became the Sheriff of East Baton Rouge Parish. The rest, of course, is history. Truthfully, sheriff seems like a thankless job. Gautreaux is forced to make personal sacrifices, his salary will never make him rich, and he shoulders an enormous responsibility for the public good. But, in spite of all that, he loves his work. “To be able to help somebody through troubled times, that’s the satisfaction you get from this job. It’s about knowing you made a difference. I thank God everyday when I wake up and when I go to bed for putting me in this position,” he said. The value of a leader is ultimately determined by the quality of the people he leads, and in the case of the EBRSO, that value is clear. But, productive employees and industrious colleagues do not materialize on their own. Gautreaux carefully vets each applicant in order to see which people will best carry out the public interest. Not everyone is ordained to lay his life down for the broader social good. It is a calling—one that requires a steely combination of grit and faith. “My faith is in Jesus Christ, my Lord and Savior. If it wasn’t for Him, I wouldn’t be where I am, today,” Gautreaux said. The fact that Gautreaux is 67 is mystifying. He possesses the enthusiasm, lightness of step and un-jadedness of a much younger man. Speaking with him is like sitting down with a friend. His charm is genuine, and it would be unlikely for anyone who has met him to doubt his sincerity. Then, there is his marriage. He said of the bond he shares with his wife, “It’s a partnership. She’s a great woman, a woman of God, and a strong woman.” Their relationship has been, like all successful ones, about give and take. 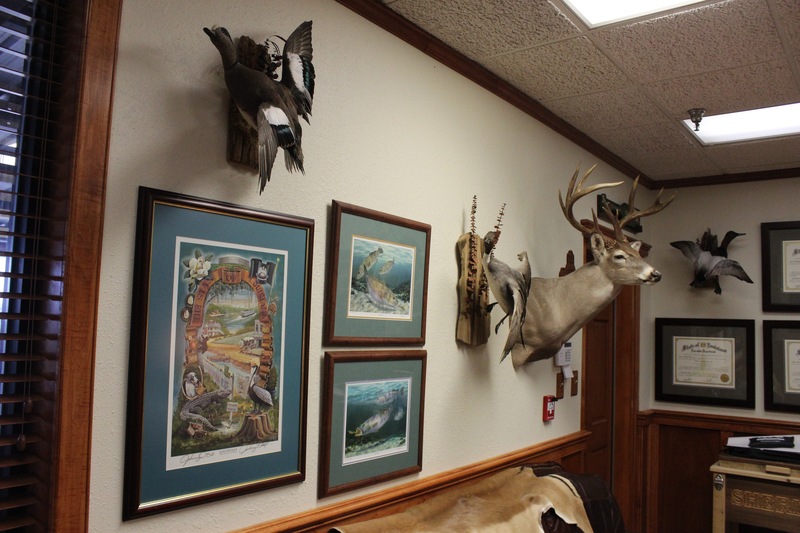 “When we got married, she made me promise her three things: I wouldn’t hunt, I wouldn’t go into law enforcement, and I would join her at the Presbyterian Church,” he said. These days, he and his wife often attend Sunday services with their daughter’s family at St. John’s in Zachary. But, on any given Sunday, Gautreaux is hard to find. He is invited to visit churches across the parish, which he does whenever he can, and he gets the chance to speak to many of our local congregations. He and Suzi currently live in the extreme north of the parish, where they head a large clan of four grown children, and 10 very much adored grandchildren. “We’re like every other family. We’ve dealt with sickness, abuse, etc., but through the power of prayer and God’s grace, we’re all here,” he said. 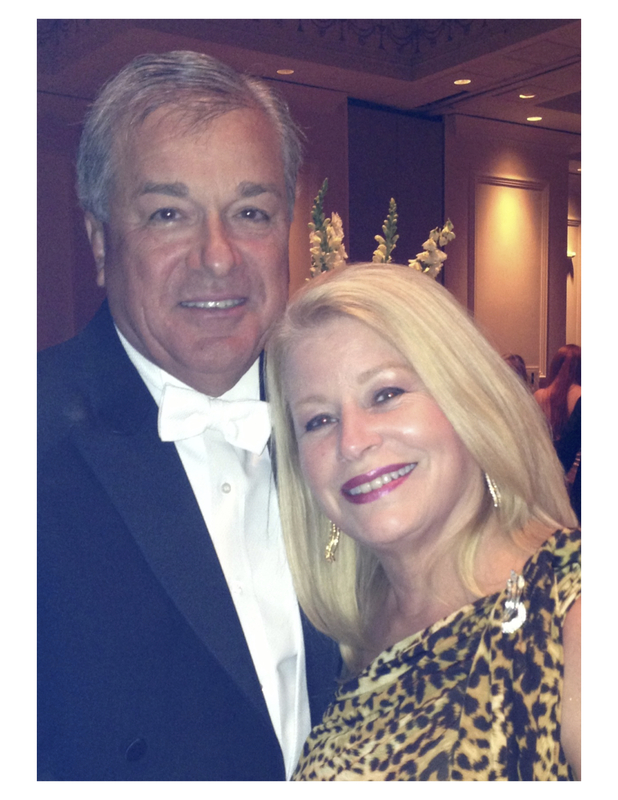 It is a quiet blend of faith and family that pushes Gautreaux forward. His motivation lies in devotion: the love of the Lord, the affection of his wife, and a passion for public service. “I’ve never, through all the trials and tribulations, questioned my decision to serve,” Gautreaux said. Sheriff is a job that does not stop at the end of the business day. It is the sort of work that requires hourly availability to the public. The same is true of all law enforcement. The men and women who serve our parish and our communities make powerful personal, professional and spiritual concessions to accommodate our needs. Those sacrifices can be incredibly burdensome, but with faith, anything is endurable. “You struggle at times, when you see the pain and anguish and death in this profession. But I still come back to my faith in God. He gets me through it,” Gautreaux said. Our men and women in uniform should not have to solitarily combat the destructive forces that threaten the parish. Sadly, too often we ignore the problems that face our communities. It is easier to saddle someone else with the responsibility of public welfare. If anyone knows how best to ebb the escalating tide of crime, it is Gautreaux. In 2014, The Advocate reported that the parish-wide homicide rate had dropped by 20 percent in just two years. This and other similar accomplishments, were due, in large part, to the efforts enacted by the EBRSO to halt offenses before they occur. 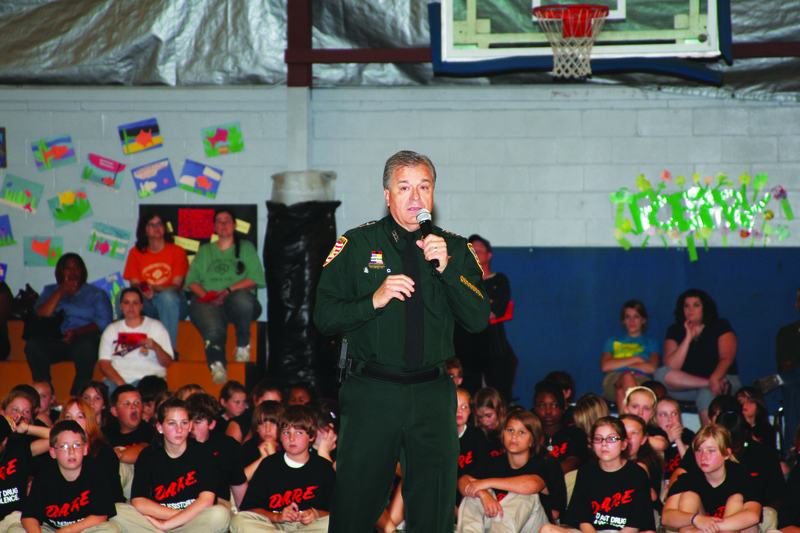 Sheriff Gautreaux speaking to children as part of the DARE Program. It is as easy as letting your neighbor know you are available to him when he is in need. Or, telling the kids on your street that they are special and the Lord loves them. An individual gesture of good will and God’s devotion makes an enormous difference in people’s lives. Gautreaux has seen people mobilize to address our region’s most pressing social dilemmas. “One good thing about Baton Rouge is that there are some people who really care and want to step up to the plate,” he said. Positive change comes when each of us stands up, makes a commitment and begins leading. We are all responsible for bolstering our local law enforcement. Change comes through a joint effort. Our police force and our communities are most successful when each of us takes initiative. “Follow your dreams,” Gautreaux said. It takes effort and perseverance to be an effective leader. Whether you want to encourage positive change in your workplace, community or home, it starts with enthusiasm. “You have to do two things: be at peace with yourself and be at peace with God’s calling on your life. But, realize there’s good and bad in everything. You just have to put your faith where it needs to be,” he said. No matter your age, remember there is always room to grow. Mimic the people you admire and brush off other people’s bitterness. “There’s good and bad in everything. I’ve tried to emulate people I knew were good men and women,” he said. The key to success in life and leadership is faith. When you take the time to seek the Lord’s counsel and pay attention to his answers, you are bound to thrive. “When we pray and ask God for guidance, we have to sit back, be quiet, and listen. The times when I didn’t listen to God, I wound up doing the wrong thing,” Gautreaux said. When Gautreaux thanks the Lord for the many blessings in his life, near the top of the list is his career. “I thank Him everyday for putting me where I am, and allowing me to help people,” he said. Few people are born leaders. Each of us is responsible for uncovering our unique calling and putting our gifts to good use. It all starts with learning empathy, practicing patience and making the decision to serve.